Here’s where you’ll find the bang for your buck and where Rockland DBSA will receive many happy returns. Please participate! 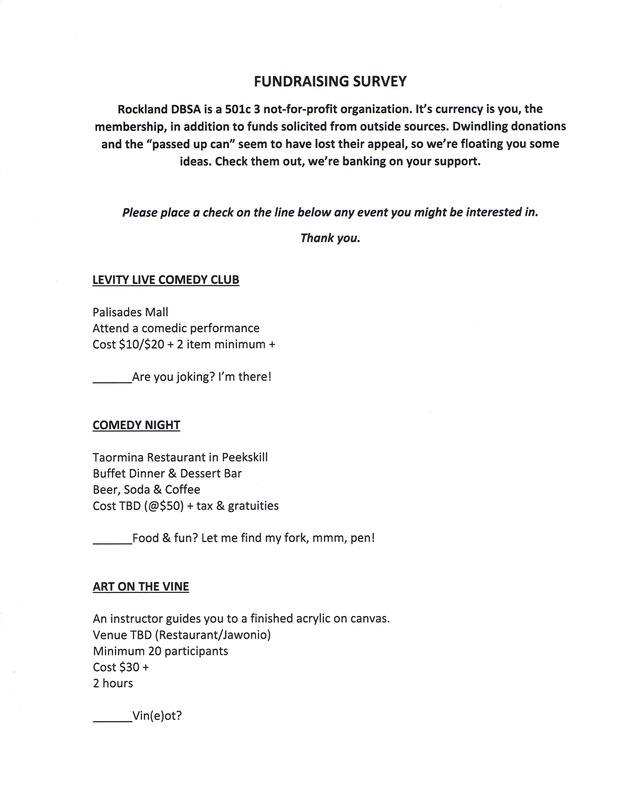 Below is a flyer about our latest endeavor where you can laugh with us all the way to the bank. After that is a copy of our annual appeal letter. Please, help us help you and the ones you love! 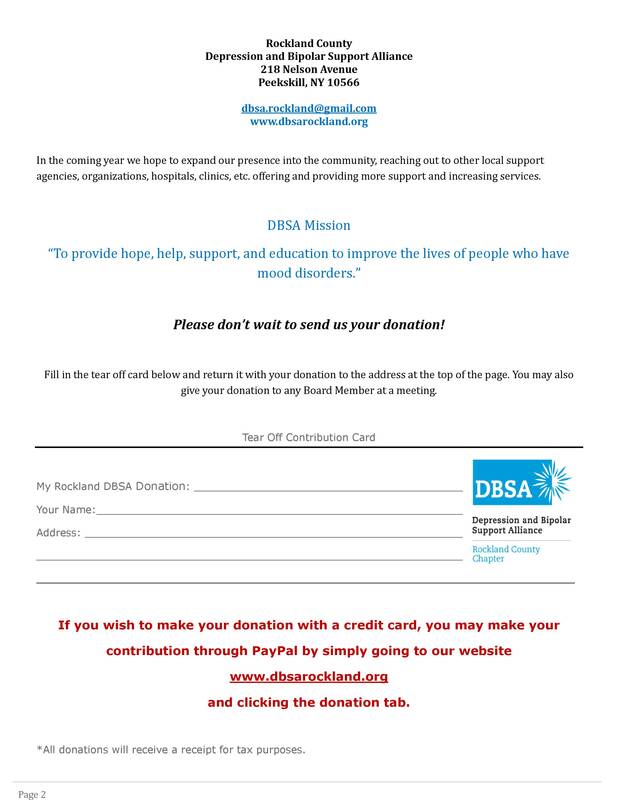 Members of Rockland DBSA,your chapter needs your help. Please, spread the word, invite friends and family to share a laugh. Make copies of the flyer and post them in local establishments. Take the letter to local professionals. Let the world know what Rockland DBSA means to you. 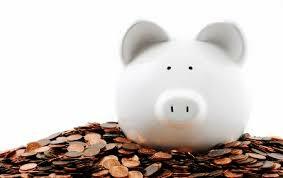 And don’t forget, let us know what types of fundraisers you might be interested in.